— Amazon.com's CEO personally oversaw the delivery of some large artifacts from NASA's history on Thursday (Nov. 19), completing a cross-country shipment that has traveled by truck, boat and rocket. Jeff Bezos, the online retailer's billionaire founder, came to The Museum of Flight in Seattle to welcome the restored remains of F-1 rocket engines that were used to launch the second and fifth Apollo missions to land astronauts on the moon. Three years ago, Bezos funded the expedition that discovered and raised the massive engine parts from the Atlantic Ocean's floor. 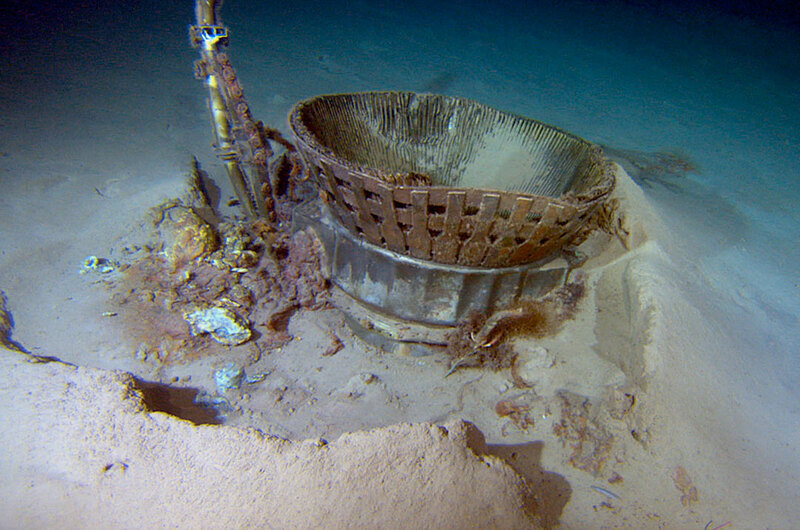 "It took a lot of 21st century underwater technology and an extraordinary team of professionals to find these historical treasures and, thanks to them, NASA, and The Museum of Flight, now a whole new generation of young people will be able to see these amazing engines on display," Bezos said in a statement. The Saturn V rockets that launched the Apollo missions in the late 1960s and early 1970s used five F-1 engines each to begin the journey to the moon. After lofting the capsule-topped booster to an altitude of more than 40 miles high (64 kilometers), the engines, attached to the Saturn's first stage, plunged back to the Earth for a violent splashdown. Their impact with the ocean ripped the 19-foot-tall (5.8 m) F-1 engines apart like tin cans. 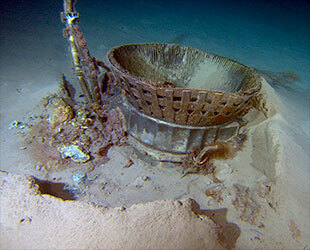 For more than four decades, the mangled engine parts sat discarded on the seafloor, until Bezos organized a secret effort to recover at least some of them. He surprised the world in March 2012 by revealing his team had found the sunken F-1 engines some 14,000 feet (4,300 m) below the Atlantic. A year later, Bezos again made the headlines by announcing that his team had successfully raised parts for several engines off the ocean floor. 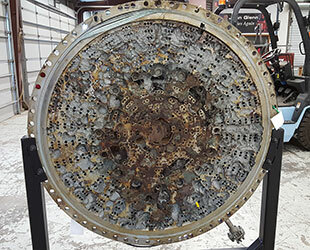 The 25,000 pounds (11,340 kg) of engine parts were then trucked to the Cosmosphere in Hutchinson, Kansas, where conservators had earlier restored the Apollo 13 command module "Odyssey" and the Mercury capsule "Liberty Bell 7" — the latter after it had also been sunken for nearly four decades. 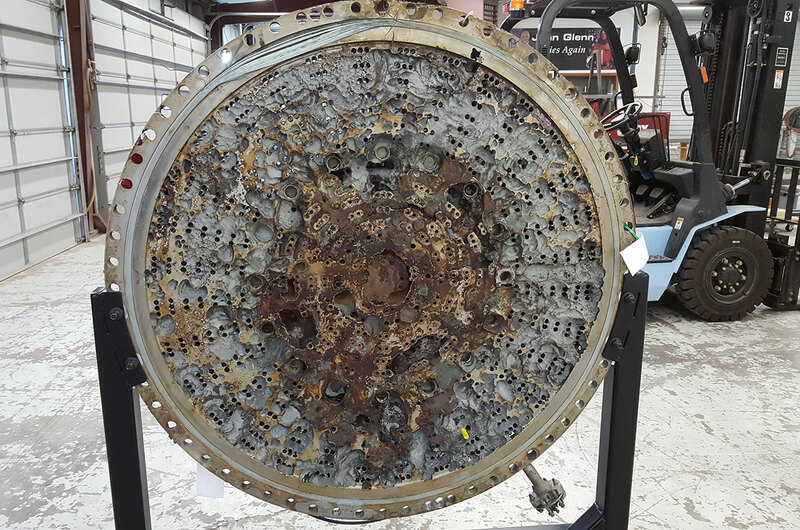 Over the course of two and a half years, the experts at the museum worked to stabilize the F-1 engine parts, halting the corrosion caused by the salt water. The engines were not restored, however. Rather they were conserved in their "as found" condition to preserve their full history, from the sky to the sea. 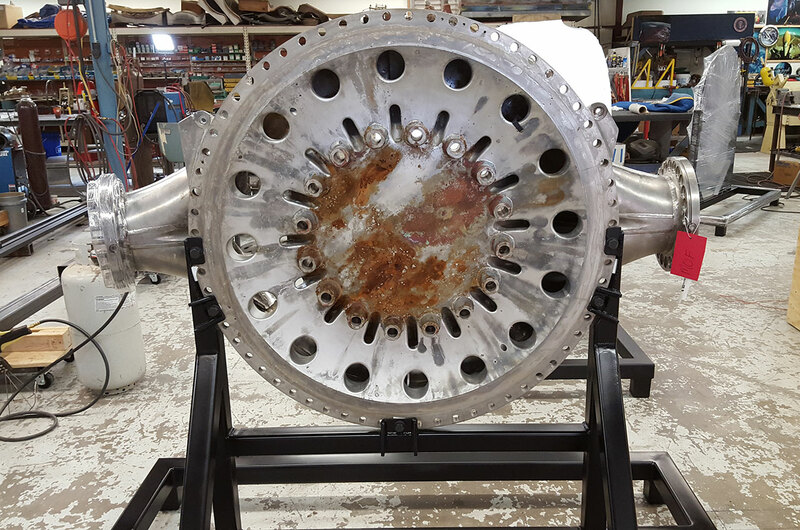 In the process, the Cosmosphere was able to reveal and research the parts' serial numbers and identify the flight history for most of the large parts. The conservators were able to tie the components to the Apollo 11 and Apollo 12 missions in 1969 and to Apollo 16 in 1972. 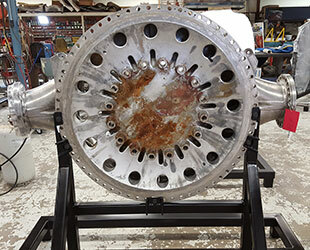 The Apollo 11 engine components, which included a thrust chamber, a liquid oxygen dome and injector plate, a turbo pump and a heat exchanger, are currently being held at the Cosmosphere for donation to the Smithsonian National Air and Space Museum. 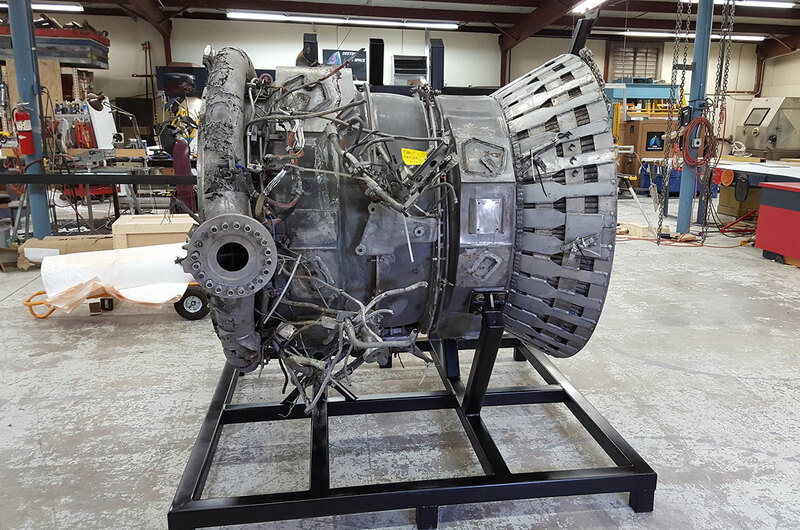 The Washington, D.C. institution plans to exhibit the F-1 engine components as part of its new "Destination Moon" gallery, slated to open in 2020. 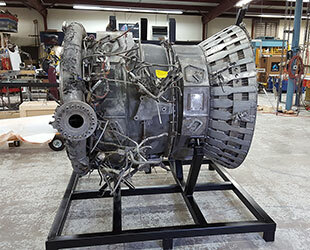 A number of the other recovered parts — including a thrust chamber, dome and injector plate from Apollo 12 and a heat exchanger, gas generator and turbine from Apollo 16 — were received by The Museum of Flight on Thursday. The delivery coincided with the 46th anniversary of Apollo 12 landing on the moon. "These [Apollo F-1] artifacts not only launched humanity's first expeditions to the moon, they fired the imagination of young people who are now today's leaders in the second great era of space exploration," said Doug King, president and CEO of The Museum of Flight. "When I was five years old, I watched Neil Armstrong step on the moon and it imprinted me with a passion for science and exploration," said Bezos, who, in addition to Amazon, founded Blue Origin, a commercial spaceflight company. "It's my hope that these [F-1] engines might spark a similar passion in a child who sees them today." Beginning Saturday (Nov. 21), The Museum of Flight will publicly display one section of an Apollo 12 engine through Jan. 4, 2016. It will then be moved into the archives until 2017, when it will return with the rest of the F-1 artifacts as part of a new permanent Apollo exhibit. This new gallery will showcase the salvaged Apollo 12 and Apollo 16 F-1 engine remains, as well as other Apollo-era artifacts, including moon rocks and a display dedicated to the career of Apollo 12 commander Charles Conrad. "Exhibiting these historic engines not only shares NASA's storied history, it also helps America educate to innovate," said NASA Administrator Charles Bolden in a statement. "This display of spaceflight greatness can help inspire our next generation of scientists, technologists, engineers and explorers to build upon past successes and create the new knowledge and capabilities needed to enable our journey to Mars." Click here to enlarge and view video in new window.